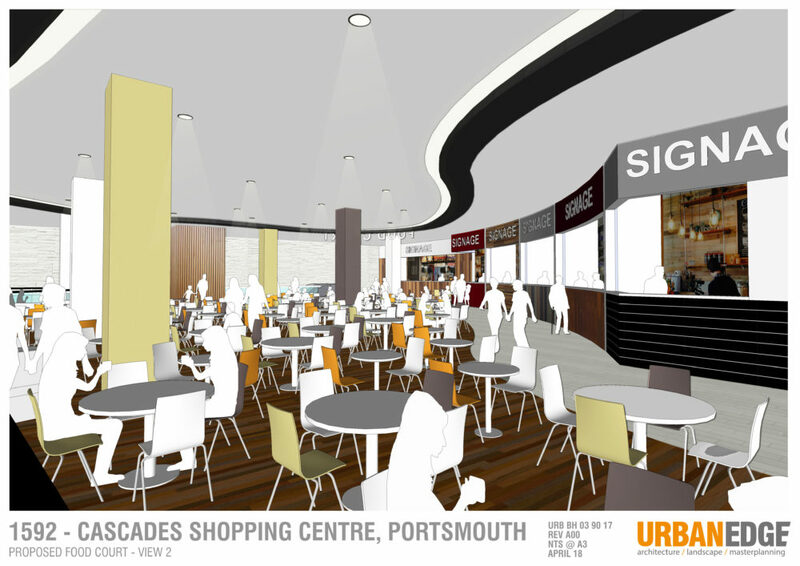 We are delighted to be able to offer the market exciting new food court opportunities at The Cascades Shopping Centre in Portsmouth. The Cascades is the predominant shopping centre in Portsmouth City Centre, anchored by Primark, M&S and Next. On average the centre receives 192,000 visitors per week, serviced by in excess of 1,000 adjacent car parking spaces. We are in the advanced stages of designing a four to five unit Food Court with a terrace overlooking the mall in the heart of the centre close to the car park lifts. Other occupiers close by include Pandora, H&M and TK Maxx. Please contact Andrew or Rob at AS Retail for a full pack of plans and visuals.